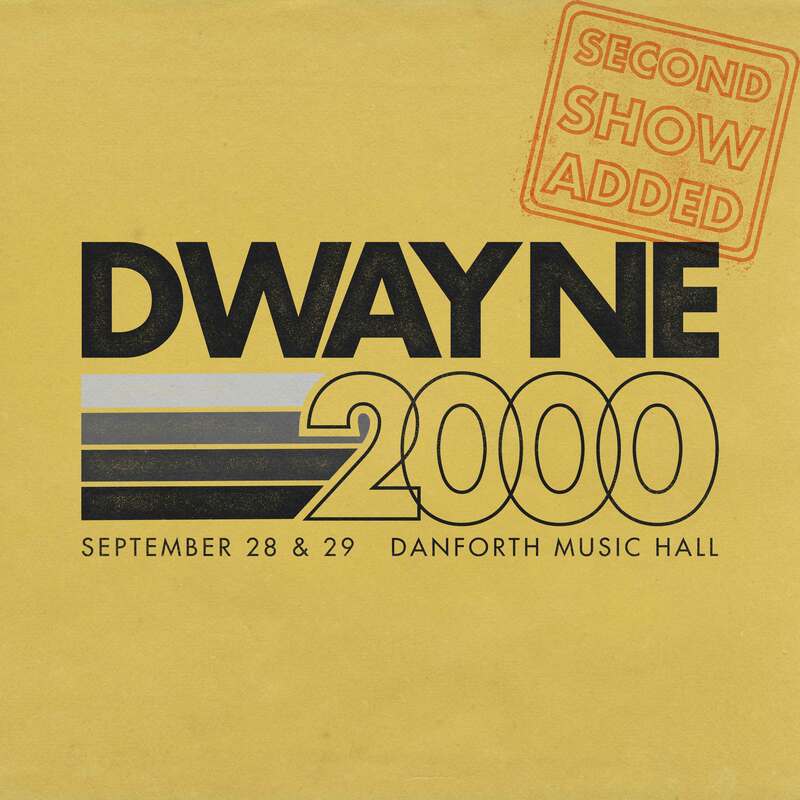 Second Dwayne 2000 Date Added! 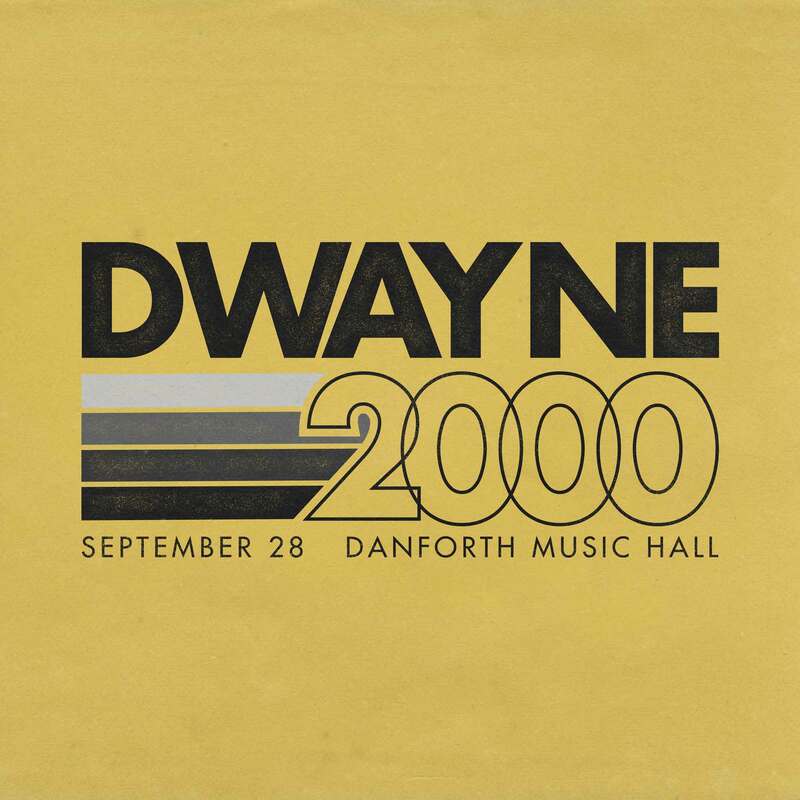 Tickets to September 28’s Dwayne 2000 are almost gone, so we decided to add another show! Tickets are now on sale for Saturday, September 29. A party louder than your HTML-infused Myspace page, Dwayne 2000 is back to celebrate the best of the 00s this September. Grab your tickets, and we’ll put you in our Top 8. Dwayners get first dibs – sign up for the newsletter to get your tickets now. Camp Dwayne – Day Passes Now Available! Announcing: the Camp Dwayne day pass. Can’t swing the full weekend hang? 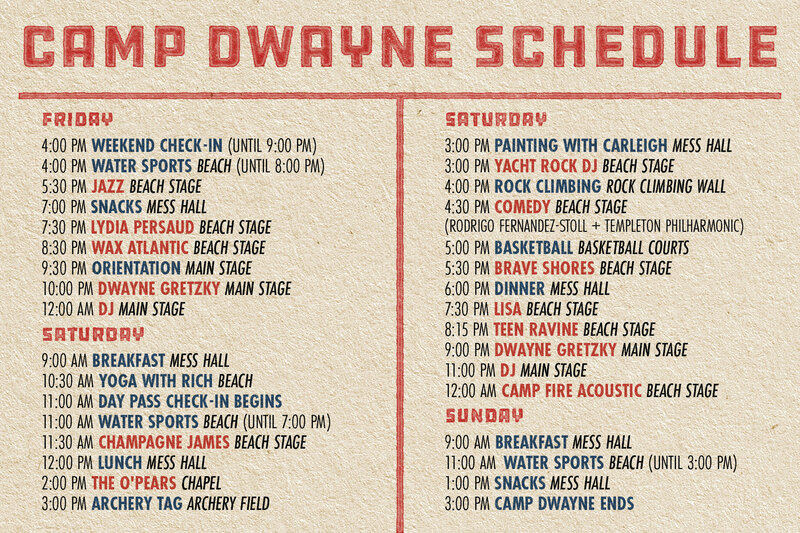 The day pass lets you swing into Camp Dwayne for a Saturday full of good fun – music, comedy, activities – capped off by yours truly. Day passes don’t get the true weekend vibes, but it’s definitely enough to get the Instagram post. Festival summer is in full swing and we’re pumped to be playing some great ones across Ontario. Come hang! The countdown to Camp Dwayne is on! We spent some time up at Camp Timberlane a few weeks back and put together this video for a little sneak peek at how we’ll take you higher and higher on Labour Day weekend. Do you have buds in the US Northeast? If so, now is the time to make that intro to the very special person in your life, your best friend Dwayne. And as a thank you, we’ll give you a FREE ticket to the next Dwayne show in your town. Starting July 11, we’re hitting New York, Pittsburgh, Boston and Asbury Park NJ and we want to meet all your friends in those cities. You’re prob thinking: “My friends in CITY would LOVE Dwayne. So I mean – doesn’t literally everyone win in that scenario?” Yes actually, they do. Invite your friends – via the show’s facebook event (links below), via text, IG, morse code, or bat signal – whichever method they pay most attention to. 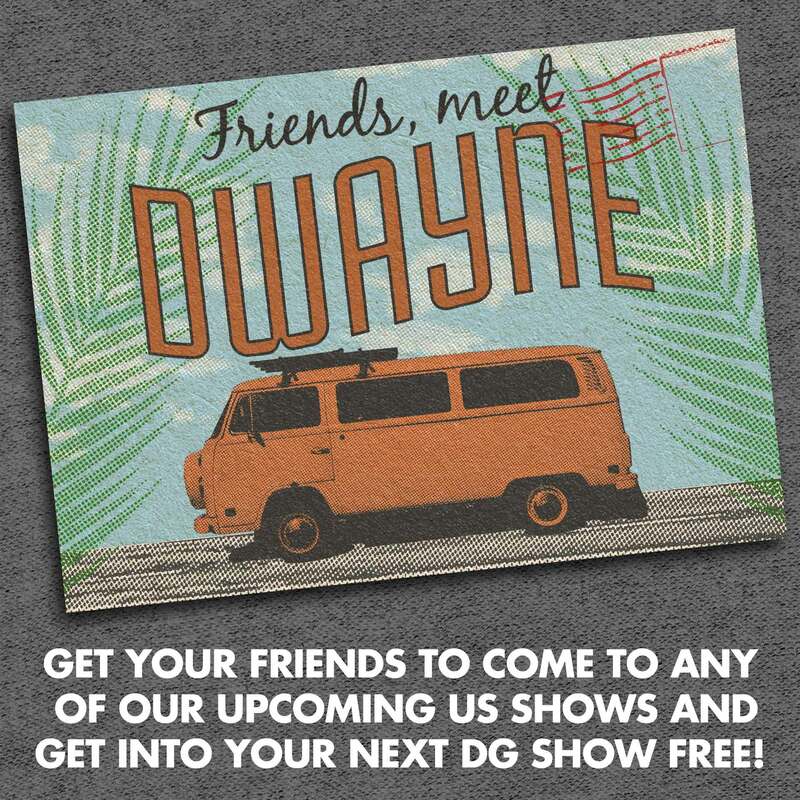 You and your US friends get silly at the next Dwayne shows near you! Please ensure to have your tickets printed or saved to your phone. If you chose ‘will call’ please make sure to have your confirmation email ready. The boat will depart at 8PM sharp and will not wait for anyone. The bar is cash only. There will be an ATM on board, but we suggest you bring cash with you. This event is 19+. The event is totally **sold out** and due to the limited capacity of the boat, we will not have any more tickets available at the door or online. If you missed out on tickets this time, join the Dwayner email list for more exclusives in the future. 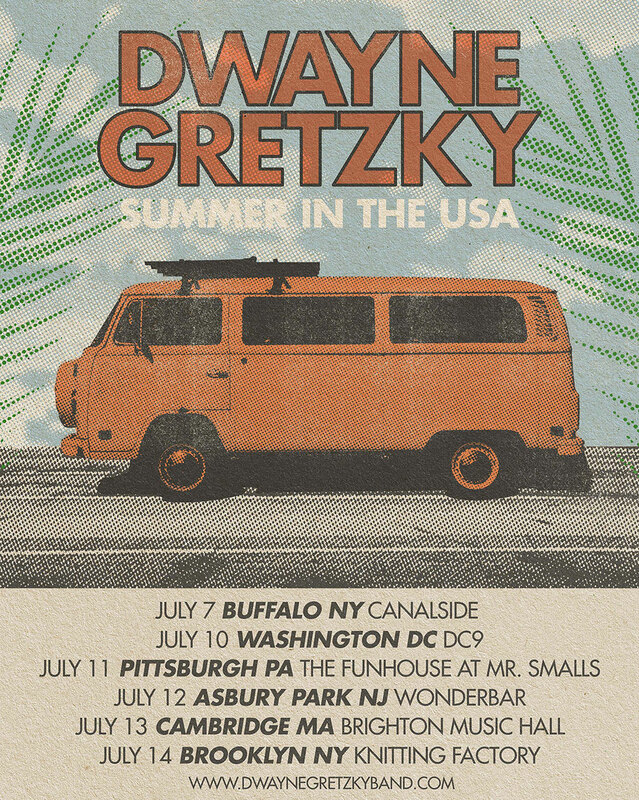 Any other questions, hit us up on social media or at dwaynegretzkyband@gmail.com. A 3-day cabin camping weekend in beautiful Haliburton, ON with your favourite pals Dwayne Gretzky (and friends!). It’s Camp Dwayne and it’s happening Labour Day Weekend at Camp Timberlane. 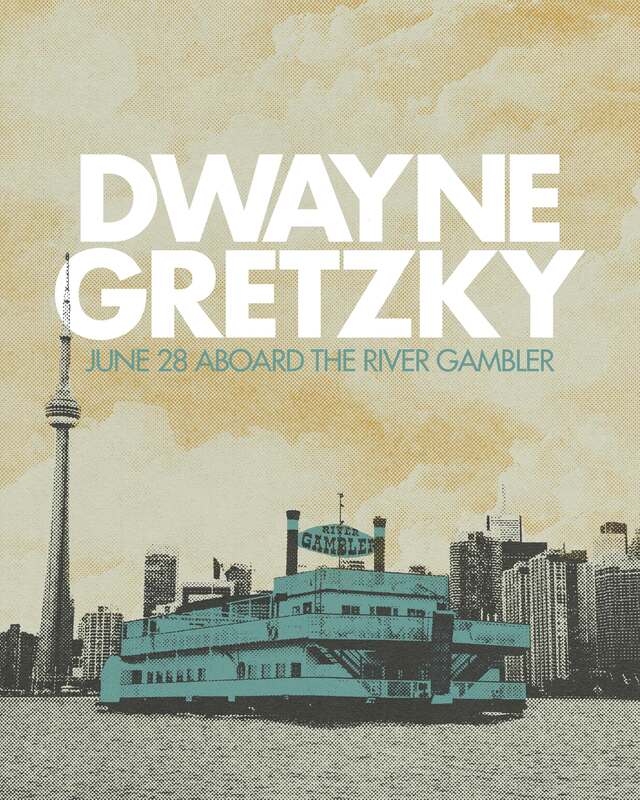 Featuring two marquee shows from Toronto’s live music collective Dwayne Gretzky, performances from friends & special guests (to be announced), campfire singalongs, all the classic camp activities and end-of summer-hangs; Camp Dwayne promises to be one very special weekend. We’re so excited to announce we’re heading south of the border once again this July for a little US tour! Starting July 7 we’re hitting Buffalo, Washington DC, Pittsburgh, Asbury Park, Cambridge and Brooklyn. If you’ve got any friends in these towns, tell ‘em to come see us! If you’re in these towns, even better! Let’s all dance and singalong under the summer sun. Presale tickets go on sale Tuesday, May 15 at 10AM with the code DGUSA2018. For ticket links, check out our ‘Shows’ page. Don’t destroy your sweater, save it for the Big Shiny Dwayne 90s tour! We’re celebrating the best of the 1990s all month long in a town (hopefully) near you. Tour dates and ticket links here.